I don’t want to sound like a broken record over here but I honestly can’t keep track of how fast this year is going. It’s been a month since I started my new job and I am absolutely shattered a lot of the time but it’s been fantastic and I am utterly convinced that moving firms was the right thing so it’s a good news story. I’m finding new ways to fit things in around work all the time so it won’t be long before I’m back up to reading and chatting about reading again! For what seems like forever, I’ve been reading Tess of the D’Urbevilles. Two weeks and I’ve read a quarter. I was supposed to be reading it with Hanna but I fell appallingly behind within about three days and now I’m languishing with the fields and the cattle all alone with only promises of misery to cling on to. Some days I think I’m enjoying it and others I don’t have the energy to pick it up. It’s a tough one to settle into after being busy at work so Tess has taken a little bit of a back seat while I read something a little easier to get into when I’ve had a long day and just want to unwind with a book instead of battling one. 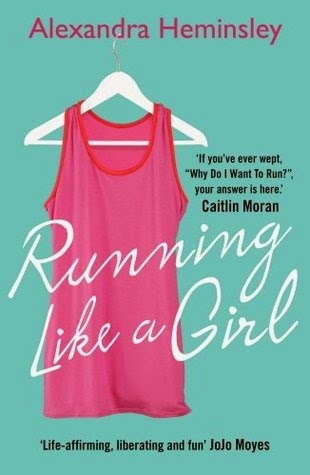 Aside from the seemingly endless reading of Tess of the D’Urbevilles, I’m loving Running Like A Girl by Alexandra Heminsley. I picked it up on Sunday evening and I’ve read more or less half, which compared to my recent reading speed is lightning. It’s funny and makes me want to pick up my trainers every time I read it. There’s something about the tone that I find completely inspiring and I am so looking forward to a solid post-injury run and starting to get properly into training for the Great North Run later in the year! 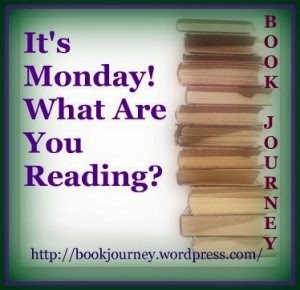 I’ve been doing a lot of audiobook listening on my commute too and this past week or so it’s been the turn of Robinson Crusoe by Daniel Defoe. It actually lends itself perfectly to being listened to because it’s told in the first person. I’m also learning that this is one of the classics that I thought I knew and actually had no clue about. Well, I knew the basics obviously but I had no idea about the events leading up to Crusoe being ship-wrecked or how long he was on the island and what he got up to while he was there. It’s really interesting from a historical perspective even if I sometimes find the lengthy explanations of tool-making on a desert island less than stellar at 7.00am. On balance, I’m glad that it got picked in the Classics Club spin last month. Let’s assume for a second that I will at some point over the next week or so be battling along with Tess and move on. Part of me thinks that I will make Tess my weekend read and that during the week, I’m going to get stuck into some slightly more…gripping stories. And for some reason over the past few weeks, I’ve been dying to read Throne of Glass by Sarah J. Maas. It helps that I also have Crown of Midnight to get to right after and I have super high hopes.